Every field of endeavor has its pinnacle of accomplishment—including the minting of coins. In the realm of numismatics the zenith of applied art and technology is in the manufacture of proofs—those special pieces called the “Caviar of Coinage” by renowned numismatic scholar and author, the late Walter Breen. 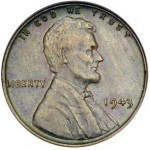 The term was first used in relation to coins by the British to indicate a preliminary trial piece, not unlike an artist’s proof in the graphic arts. 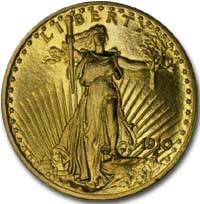 As the years passed, the word proof would be applied to specially made presentation pieces similar or identical in appearance to regular-issue coins, but manufactured using methods more akin to the medallic arts rather than coinage. 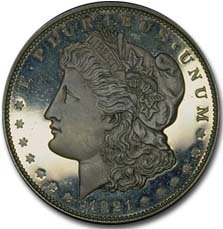 The term was embraced by U.S. numismatists after 1858, following the lead of Mint Director James Ross Snowden, who is generally credited with introducing numismatic usage of the word in the United States. 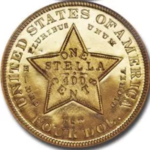 Although specially prepared so-called “presentation” coins exist from the earliest days of the U.S. Mint, it was not until 1817 that true proofs appeared from the Philadelphia facility and not until the advent of the close-collar in the late 1820s that proofs could be made with fewer blows. Steam power was not really an issue: early screw presses were used for the coining of proofs long after 1836. Not publicly offered until 1858, the sporadic production of proof coins before then stems primarily from their periodic use as gifts for dignitaries and VIPs. Although proof surfaces, whether brilliant, matte or whatever, almost always differ from those of regular issues, initially at least, surface appearance was a secondary consideration. Special preparation of planchets and dies was to come later. The earliest specimens known displaying the use of polished blanks and dies in their manufacture were British pieces appearing in the early 18th century. Applying the highest level of minting technology available, coiners were able to produce the very best of their art—not necessarily in design (that area was often left to the whims of less artistically-inclined officials), but certainly in manufacturing methods and presentation. 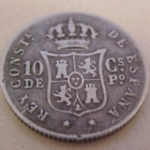 Their principle goal was to impart as detailed a rendition of the design relief to the coin as the artist originally intended. The single ingredient common to all true proofs is receiving multiple blows from the die. Early in the 20th century, new styles of surfaces were introduced. 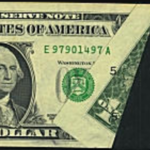 Influenced by an experimental process developed by the Paris Mint, nations on both sides of the Atlantic willingly replaced the familiar brilliant mirrorlike fields found on proof coins with the new vogue: a uniform granular sheen. The U.S. first used this “matte” proof process on the Saint Gaudens and Pratt gold coinage of 1908-1915. 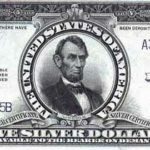 It would also be used on Lincoln cents and Buffalo nickels of that era and on a few silver patterns of 1916, certain Peace dollars in 1921-22 and on several commemorative coins. While the new methods obviously appealed to the artistic instincts of mint engravers and officials, collectors of the day took a decidedly different view, preferring the flashy brilliance of earlier proofs to the relatively dull-appearing surfaces of the new coins. This unpopularity with collectors was as universal as the method’s acceptance among coiners: as a result, the publicly-unpopular technique was abandoned by both the Europeans and Americans in relatively short order. One problematic side-effect, which may or may not have been a contributing factor in their demise: these proofing techniques readily activated the metal surface. 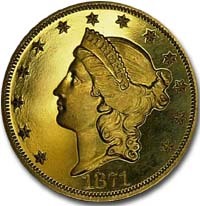 Although this was of limited importance on gold coins, the processes did accelerate the appearance of oxidation and discoloration to a much greater degree than on regular issue pieces.